Communicate, manage, and organize everyday coParenting responsibilities. Keep all of your history and have a record of everything that occurs between you and your coParent. Don’t learn the hard way that you need to be court ready. Get it out of the gate with the coParenter app. 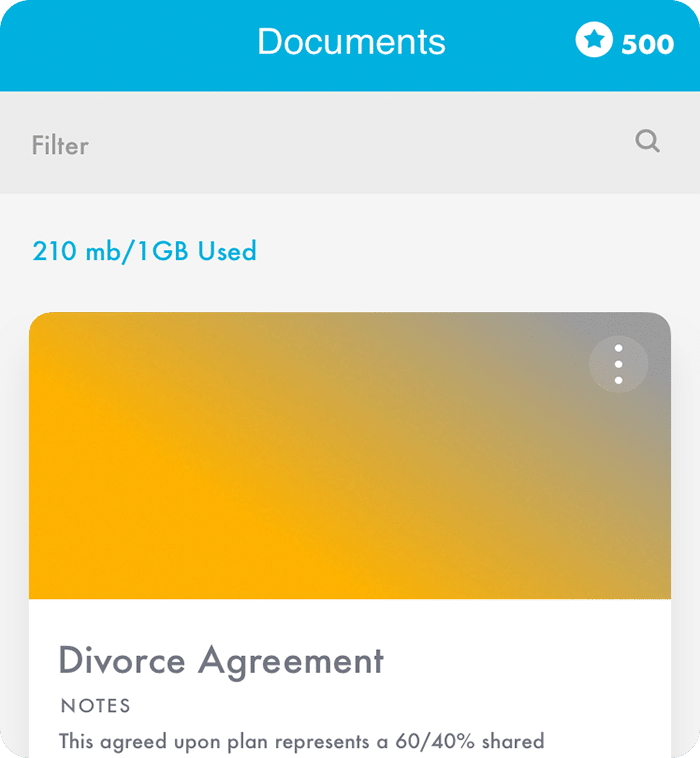 Upload into the app a copy of your divorce agreement, parenting plan, modification request or any document so that you can access them at anytime or anywhere. Print and share authenticated documents. (Coming Soon) Quickly and easily export all your timelines, agreement, and communications with no additional fees. We allow you to print or email all your documentation so if you do end up in court we have your back.